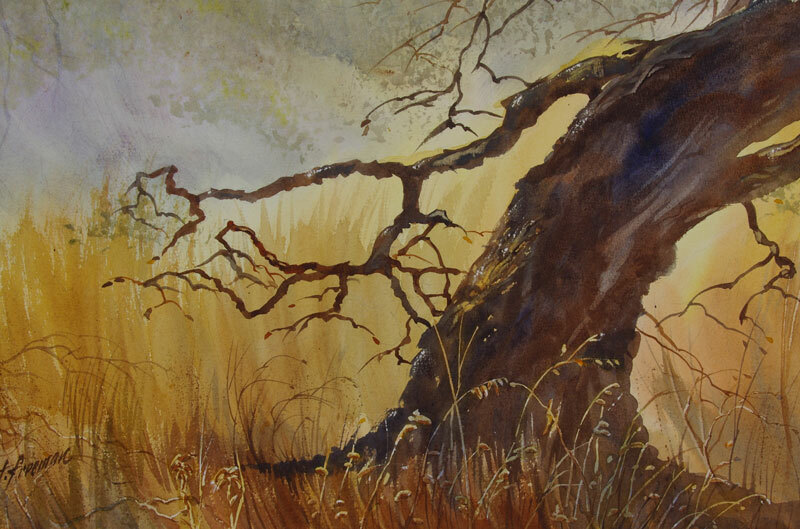 Thomas Freeman Original Watercolor Painting: "The Old Soldier"
I couldn't resist painting this old, battered oak tree in a SF Bay country valley. Weeds were all around (had to be careful of snakes! ), the air was still, and it was a perfect, quiet afternoon. Copyright � Thomas B. Freeman. All rights reserved.